Ken Woodberry is Deputy Managing Director of the OS Technology Group within MSR NExT. 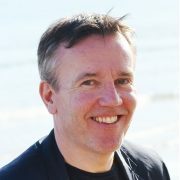 Previously, Ken was Deputy Managing Director at Microsoft’s Cambridge Research Lab with responsibility for the lab’s business-facing activities, including technology transfer, incubation, licensing, spin-outs, and other models for utilising the intellectual property generated by the lab’s research groups. In addition, Ken headed the Computer-Mediated Living research group which he founded in 2003 and which grew to include both the Sensors and Devices group and what became the Human Experience and Design group. CML’s vision was fundamentally interdisciplinary, bringing together hardware engineering, computer science, psychology, sociology and design to address the problem of designing innovative technology to support everyday life in its widest sense. Ken’s personal research interests include human-computer interaction, information retrieval, digital media management, and ubiquitous computing. He has numerous publications in these areas and holds several patents. Ken joined Microsoft in September 2002 from RealVNC, a start-up he co-founded with colleagues from AT&T Labs Cambridge. Previously, in his seven years at AT&T Labs, Ken led research in the areas of multimedia information retrieval and communications, and was involved in the incubation and business planning of a number of projects that were spun out from the lab as successful independent companies. Earlier posts include several years as an academic at Oxford University, three years at Nortel Networks, and a year’s sabbatical at the London School of Economics.